As many as 30 preachers, religious scholars and reform-minded intellectuals were detained in the Kingdom of Saudi Arabia earlier this month. The precise number is unknown, as Saudi authorities have not released the names of those arrested, nor the specific charges against them. But a security official who spoke on condition of anonymity has alleged that those arrested had received financial support from foreign countries and were in league with the Muslim Brotherhood and the Houthis, a rebel group that Saudi Arabia is fighting in Yemen. Their goal was to “destabilize the kingdom, as a step toward overthrowing the government in favor of the Muslim Brotherhood,” the official claimed. Based on what is currently known, the only thing those arrested have in common is that they were independent and critical voices. They range from ultra-reactionary preachers to moderate religious scholars to younger progressives, says Stéphane Lacroix, a specialist on Saudi Arabia and an associate professor of political science at Sciences Po, in Paris. Among those detained are the preachers and religious scholars Aaidh al-Qarni and Ali al-Omari. The detainees also reportedly include the poet Ziyad bin Naheet and the economist Essam al-Zamil, an outspoken authority on the Saudi economy. In his well-followed Twitter feed, al-Zamil had criticized the government’s economic policies, including the decision to sell part of the state oil company, Saudi Aramco. The most prominent of the detainees is Salman al-Oadah, a Saudi preacher with a doctorate in Islamic jurisprudence who has 14 million followers on Twitter. Al-Oadah is the author of 50 books on Islam and editor of the Arabic-language edition of the Islam Today website. He was arrested shortly after tweeting a message expressing hope for reconciliation between Saudi Arabia and Qatar. 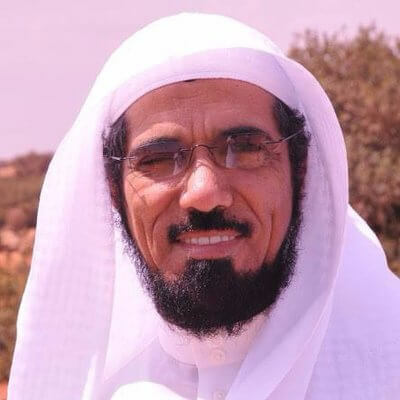 Twitter profile photo of Salman al-Oadah. Saudi Arabia and the United Arab Emirates accuse Qatar of supporting terrorism, although their real gripe is clearly the fact that Qatar has had its own interventionist foreign policy and, over the course of the Arab Spring uprisings, backed different political and military groups than its neighbors. The confrontation with Qatar, as well as the war in Yemen, are being largely led by Crown Prince and defense minister Mohamed bin Salman, who in the past year has emerged as heir to the Saudi throne. Al-Oadah had already served five years in prison for criticizing the ruling Al Saud family, at the time of the first Gulf War, for allowing American troops to station themselves in the kingdom. Since then, his thinking had evolved, becoming much more tolerant. Al-Oadah was supportive of Arab-Spring uprisings (in contrast with the Saudi monarchy, which did not view the revolutions in Egypt, Tunisia, Libya and especially neighboring Bahrain with favor). In 2012, he published a book, Questions of Revolution, that gave popular uprisings religious legitimacy, upending a long tradition of religious scholars condemning revolutions as illicit and sources of dangerous chaos. In 2013, he penned an open letter to King Abdullah calling for reforms and the release of political prisoners. 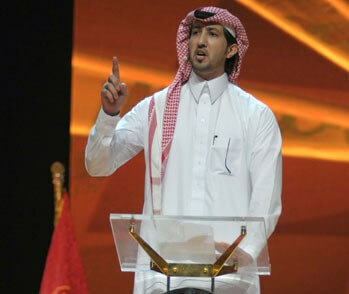 The arrests also targeted members of a younger reformist generation, including Abdallah al-Malaki, one of the signatories and promoters of a well-known petition, “Towards a state of laws and institutions” (“Nahwa dawlat al-huquq wa al-muassasat”), which called for reforms in Saudi Arabia. Al-Malaki is also the author of a book, The Sovereignty of the Umma Before the Application of Shariah (Siadat el-Umma Qabl Tatbeq Sharia), which caused lively debate upon its publication in 2012. Another detainee, Mostafa al-Hassan, is a professor of Islamic studies at King Fahd University of Petroleum and Minerals. He has written books on the reform of religious thought and on figures such as the Algerian scholar Mohammed Arkoun. He was the organizer of a forum for young reformists in the Gulf, the Renaissance Encounters (Multaqa el-nahda), that came under attack from religious conservatives.